When a bard tells a tale about a soldier’s death, he doesn’t intend to kill his brother. But he didn’t believe those who warned him he had the ability to bring his tales to life. Grainne recognizes the power in the bard’s tale. Desperate to protect his target -- her new husband, Caedmon -- she makes a pact with one of the fey. 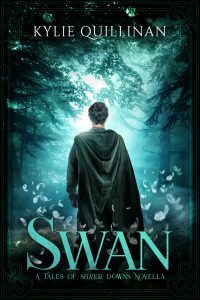 Caedmon is whisked away to the realm of the fey and Grainne fears she will never see him again. 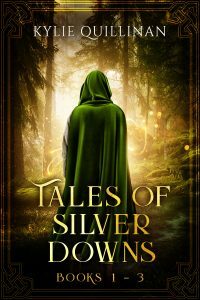 But Grainne isn’t the only inhabitant of Silver Downs with a secret. 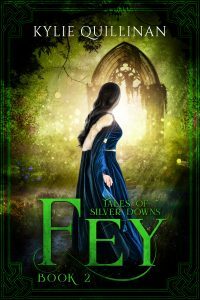 Eithne has fallen in love with a fey. When the fey boy stops coming to visit her, she knows something has happened to him. 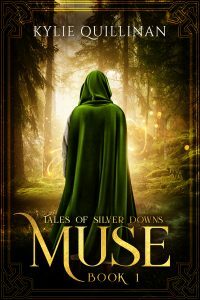 The women set off in search of their missing loved ones, only to discover that mortals aren’t exactly welcome in the realm of the fey. Captured by hostile fey, they are sentenced to serve as slaves -- for one hundred years. 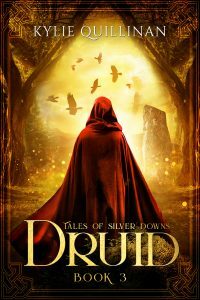 Eithne and Grainne need to escape, find their missing loved ones, and get back to the mortal world before the fey find them again. Because they know they won’t escape a second time. When I am ill, my dreams are filled with things that aren't really there. Some of these things I have really seen, like the power of a fire as it rages out of control and the might of a winter storm that strips branches from beech trees and thatching from houses. Others I have never viewed with my own eyes. They probably came from the tales my bard brother told. Titania, queen of the fey, glowering at me. Tiny beings no larger than my thumbnail, human-shaped but with wings. A creature, in appearance nothing more than a rock, but clearly sentient. I longed to see these beings but I could never hope to live a normal life, let alone one in which I might actually meet such creatures. The images repeated one after another but eventually they returned to the boy. Always the boy. He appeared to be around my own age, although the fey can seem any age they choose. His milky skin and crimson lips shouted his fey heritage, and his dark hair was roughly cut as if he cared little about the result. Blue eyes stared at me, never blinking or looking away, just watching, considering. Unusual eyes, for a fey. He stood silently in the corner of my bedchamber and watched as I drowned in fevered dreams. Sweat soaked my linen nightdress and my damp hair stuck to my cheeks. As the fevers subsided, the dreams disappeared and the boy with them, and I once again became aware of my surroundings. It was always startling to emerge from the dreams and discover that time still had meaning. I lay in my bed, staring up at the knotted ceiling. I turned my head to see sturdy wooden furniture now coated with a thin layer of dust. Thick green drapes shielded the window. A hand-knotted rug lay in front of the fireplace. The air smelled stale and old. Mother sat beside my bed, her eyes shadowed and her face pale. "Welcome back, Eithne," she said. I struggled to sit up but my limbs were weak and I collapsed back down onto the bed. "How long?" I asked. My voice was hoarse and my mouth tasted dry and bitter. Mother hesitated but I knew she wouldn't lie to me. "Nine days," she said, eventually. Her words chilled me and eventually I realised I was clutching my woollen blanket so hard that my knuckles had gone white. I forced my fingers to relax and straighten the blanket. Its wool was coarse and prickly. "It's never been that long before." "It's getting worse, isn't it?" were tightly drawn, hands smoothing the skirt of her work dress. "You can say it," I said. She looked back at me and her dark eyes glistened. "Yes, Eithne, it's getting worse. We always knew the illness might progress but I had hoped you would have a little more time." I inhaled deeply, steadying myself. I knew what was ahead of me, had known since I was old enough to understand the truth. She had never tried to shield me from it. Death was the end of the journey for each of us. It just came sooner for some. "There's never enough time though, is there?" I said, too exhausted to hide the bitterness in my voice. "We are always too young to die." Mother swallowed hard. She wouldn't ever cry in front of me but I heard her sometimes, after she had closed my door. She would stand in the hall and sob. "Always too young, my darling." She avoided my eyes as she gathered up the pitcher and mug sitting on the small white table beside my bed. "I'll take these to the kitchen. I'll be back in a little while, to sit with you." I knew she was leaving because she needed to compose herself, not because the pitcher needed to be returned to the kitchen immediately. We had servants who could undertake such a task. I stared up at the ceiling as Mother closed the door. I traced a crooked crack with my gaze and tried to pretend I couldn't hear her crying. Death had ever loomed present for me, from the day I first struggled out of my mother's womb, eager to be born and far too early with the birth cord wrapped tightly around my neck. could only shake his head and say he was sorry. When one lives with the idea of death every day, one becomes somewhat used to it. At least I saw fabulous things in my dreams. They let me feel like I had lived just a little.